Updated 4:45 p.m. | Posted 3:22 p.m.
Walker Art Center officials said Wednesday they've ordered the controversial sculpture "Scaffold" to be taken apart in a ceremony set to start on Friday. The move comes after members of the Dakota community objected to the structure. "Scaffold" was to be one of the new pieces added to the Walker's Minneapolis Sculpture Garden during its multimillion-dollar renovation. Conceived as a commentary on capital punishment by the artist Sam Durant, the sculpture comprises elements of seven different hangings in U.S. history. But one of those events — the execution of 38 Dakota men following the U.S.-Dakota war in 1862 — remains a subject of special pain in Minnesota. It was the largest mass execution in U.S. history. The large, boxlike frame of "Scaffold" recalls the gallows erected in Mankato, Minn., for the hangings a century and a half ago. 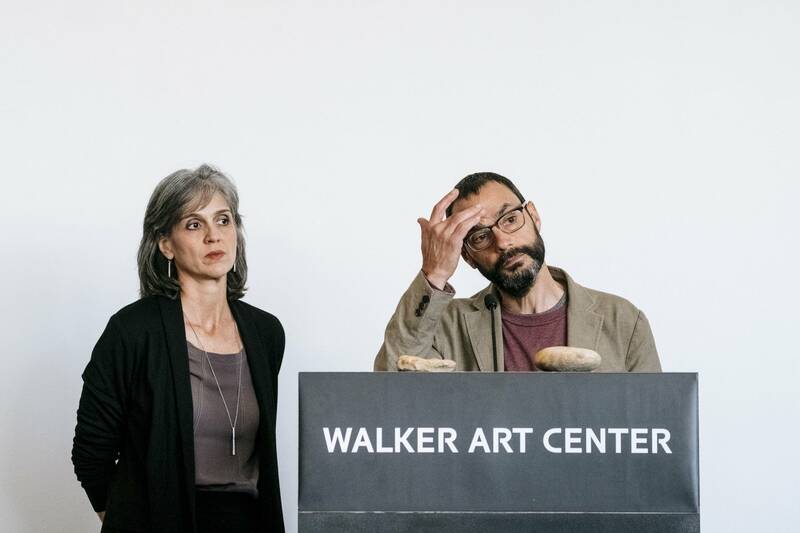 Members of the Dakota community opposed the sculpture and rejected an apology Friday by Olga Viso, the Walker's executive director. 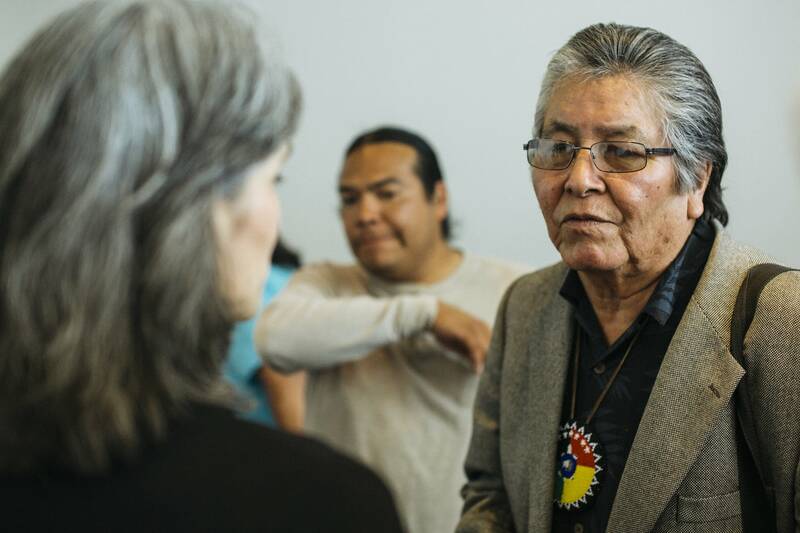 Viso and Durant both acknowledged that the community should have been consulted about a piece with such a clear connection to a painful chapter of Dakota history. In response, the Walker and the Minneapolis Park Board postponed the sculpture garden's reopening by a week to June 10. In meetings Tuesday and Wednesday, officials sought the opinions of Dakota elders about the best option. They emerged Wednesday afternoon with a plan that calls for the structure to be dismantled during a ceremony beginning Friday, led by Dakota spiritual leaders and elders. "It takes at least four days to remove the wood. It will be removed by a native construction company, and the wood will be placed in a fire pile near the remaining steel understructure with signage explaining the mutually agreed upon process until the wood is removed," Walker officials said in a statement. 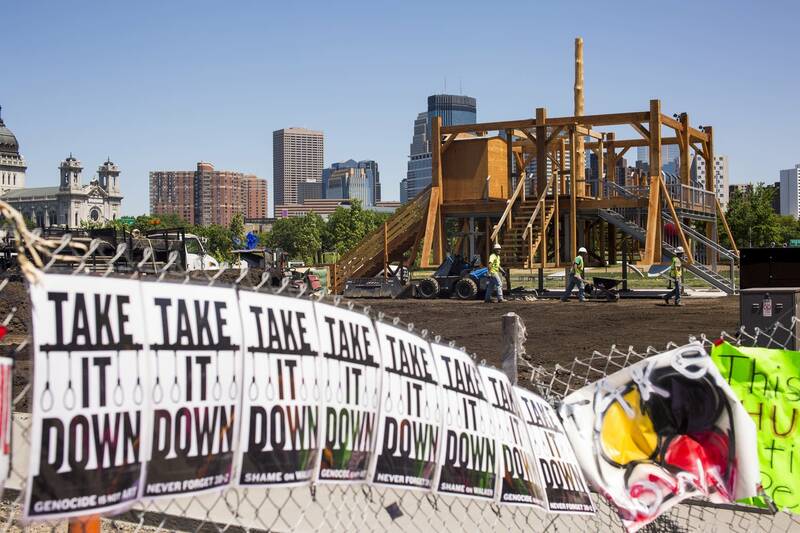 "The wood will be removed and taken to the Fort Snelling area, because of the historical significance of this site to the Dakota Oyate, where they will ceremonially burn the wood," the center added. The statement also noted that Durrant, the "Scaffold" artist, has "committed to never create the Dakota gallows again. He commits to transferring the intellectual property rights of this work to the Dakota Oyate."